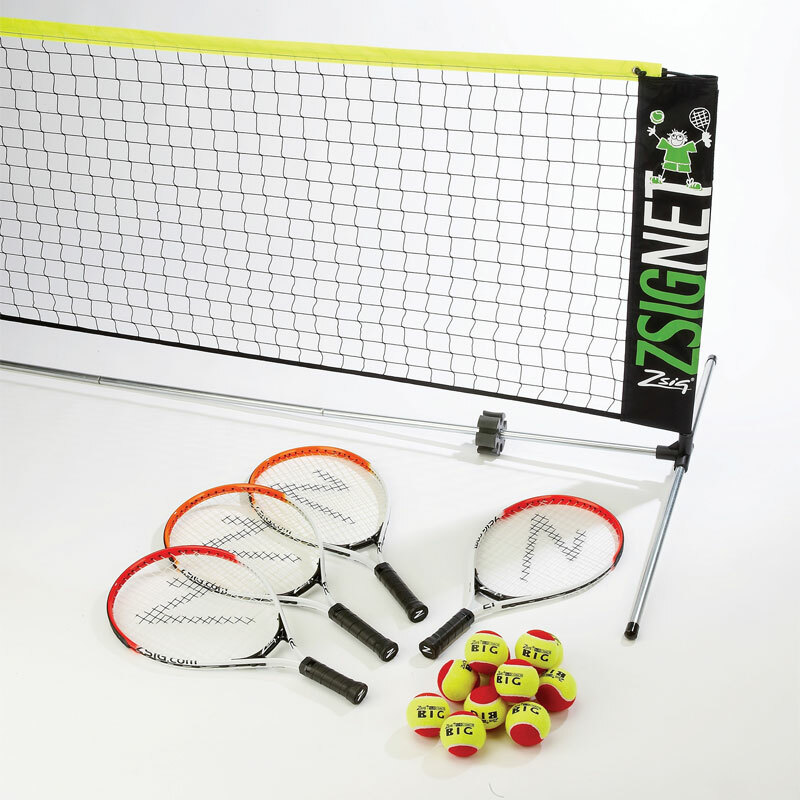 The Zsig ® Red Zone Pro Mini Tennis Set is ideal for coaches and teachers of Red Stage Mini Tennis - a convenient equipment pack of quality kit. 1 Zsignet 10 (3m) Mini Net System, flo-coated for protection against the weather. 4 x 21" strung mini tennis rackets. 12 x Zsig Big Red mini tennis balls. Zsignets are tough, durable and proudly made in the UK from weather-proofed FLOcoat steel. Very pleased with this set, easy to set up and put away quite strong for regular use by children in a weekly play night.